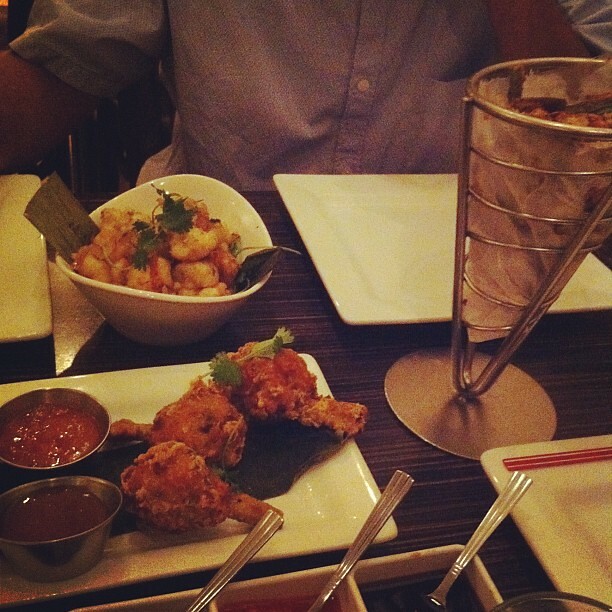 When we are in New York, we always like to try new places and also make sure we get in our forever favorites. This time around, it was mostly new. Here are our pics from this NYC trip… highly recommended, in no particular order. If you are following us on instagr.am, you know there is Boston and Cape Cod to come… stay tuned. 1. The Breslin. I’m sorry I don’t have pics, it was dark and the pictures would not do the place justice. It was amazing… the snapper cheek and collar… damn. 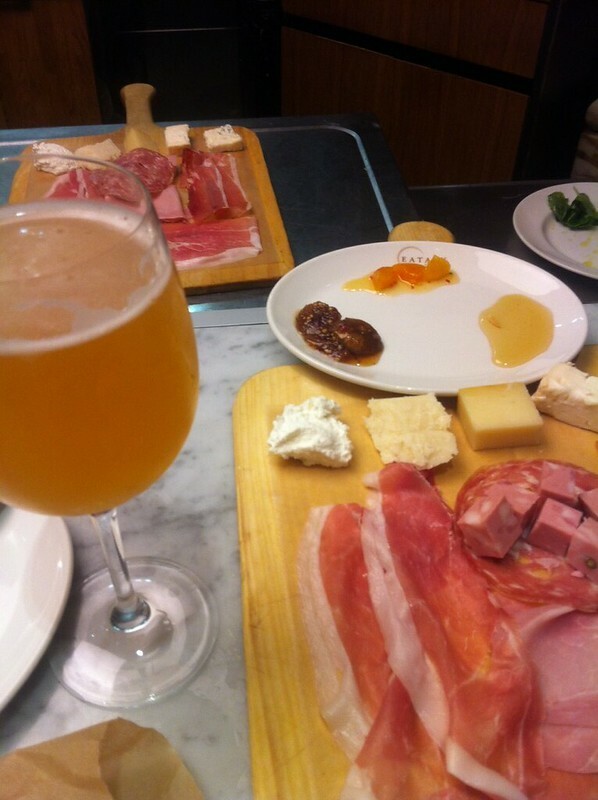 Anyways, a killer meal followed by an even more killer dessert of cheese and meets at Eataly. 2. Soba noodles at Cocoron in the Lower East Side. Good, but, not my favorite. My favorite… keep reading. 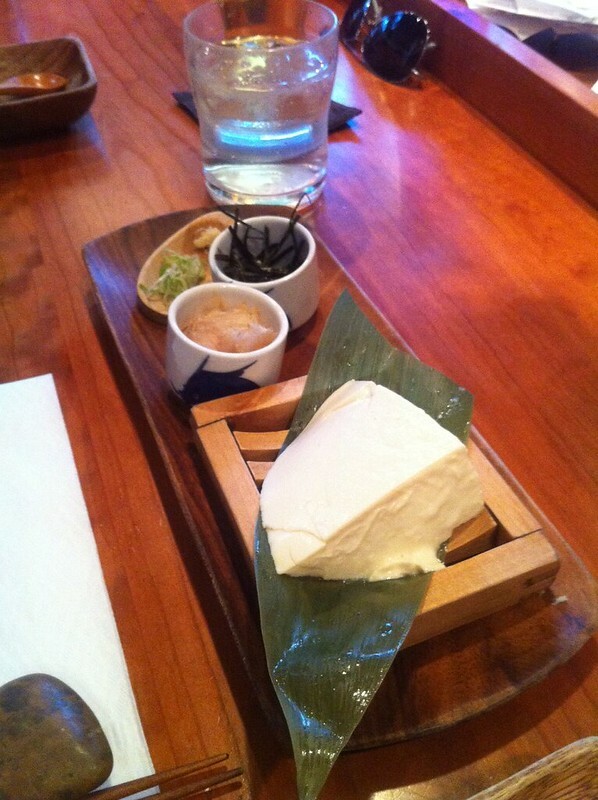 Silky tofu dish… really nice. 3. 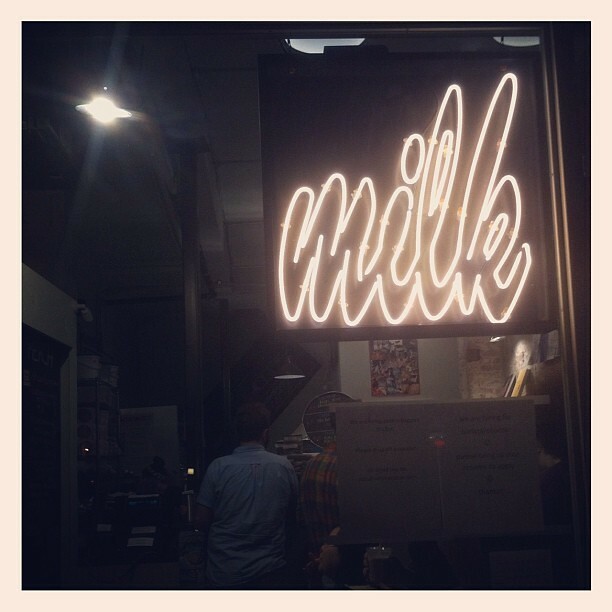 David Chang’s Milk Bar in Brooklyn. It was better than I imagined. 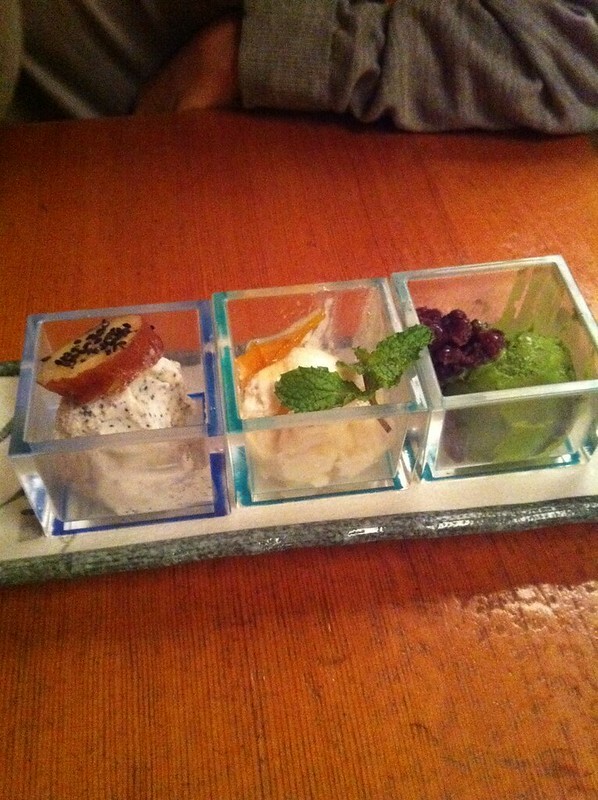 The place was no frills, casual dessert shop… and the dessert, damn. 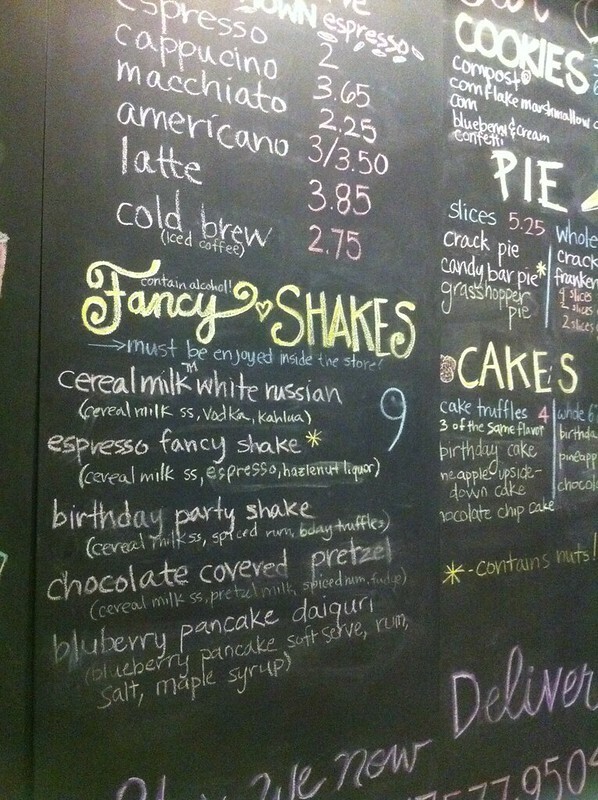 We split a pretzel cereal milkshake. Seriously, perfect. 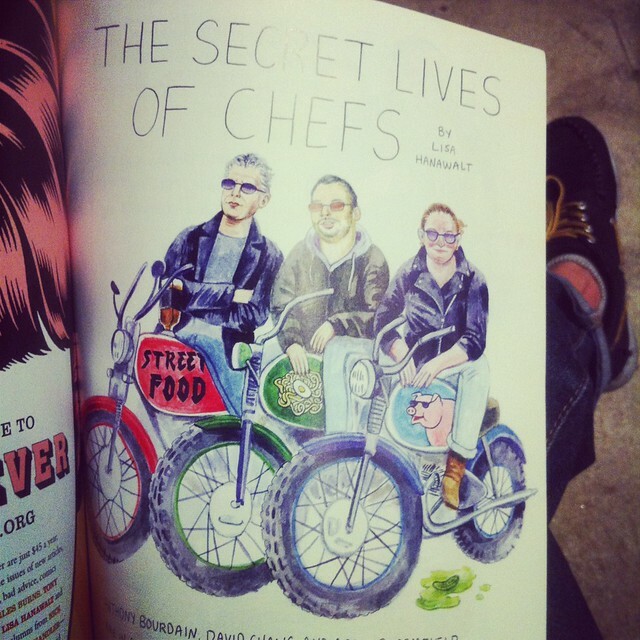 We even spied his magazine, Lucky Peach and found the raddest illustration by Poketo collaborator, Lisa Hanawalt! 4. 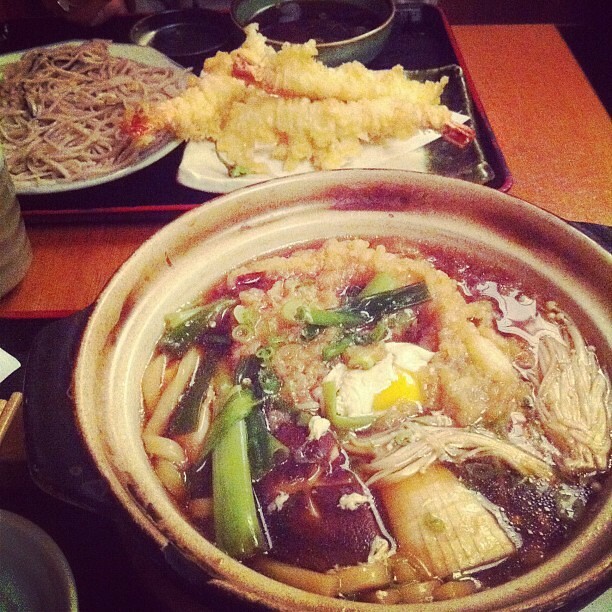 One of our favorite in New York… Sobaya. 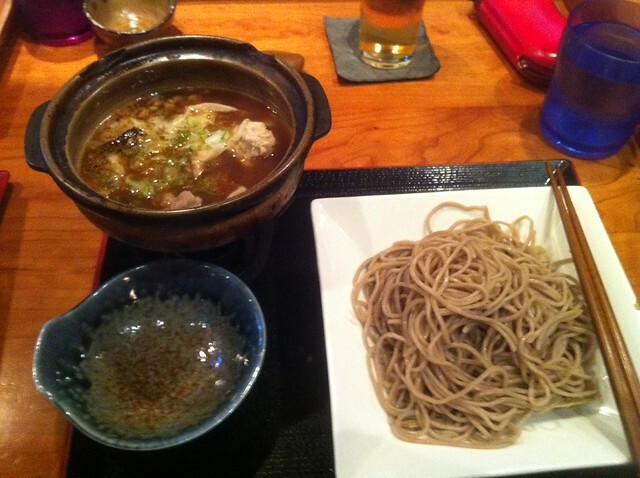 The best soba noodles. 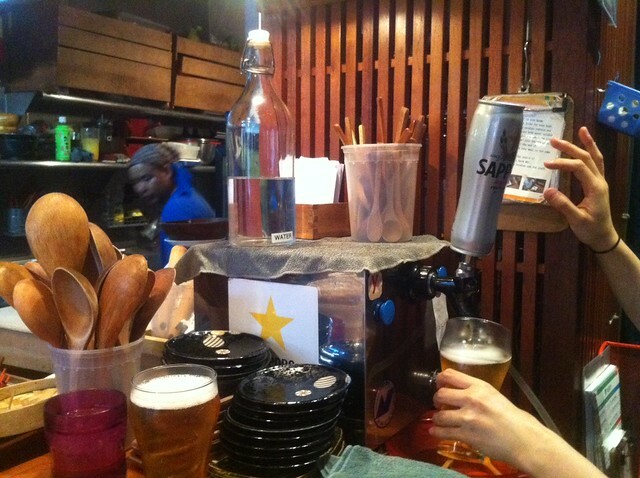 The manager, Kazuyo knows us now from years of patronage. It’s the best, don’t skip this next time you are here. 5. Chinese Mirch… our friends took us here. A fusion of Indian and Chinese. Get the dried fried chicken, the fried cauliflower, and the fried okra. Everything fried.